This pretty and comfortable holiday home is situated in the Borak district, which is located above the historical town of Omis. This pretty and comfortable holiday home is situated in the Borak district, which is located above the historical town of Omis. 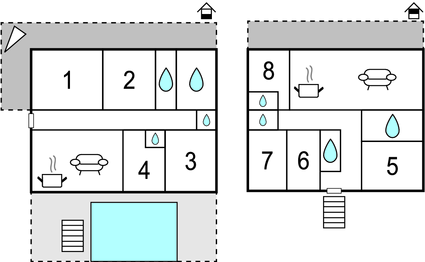 The house comprises two large accommodation units with separate entrances. The large fenced plot makes this accommodation suitable for more families with children or for a group of friends. The house owner who lives nearby is a well-known local fisherman and after prior agreement he can prepare fresh fish for you or organize a trip in his small motorboat for two persons. From the terraces stretches an unforgettable panoramic view on the town of Omis, the mouth of Cetina river, the sea and the islands of middle Dalmatia. The town of Omis with its rich and interesting history offers plenty of restaurants, cafes and shops. Various events take place there such as the festival of Dalmatian singing (klapa). As it is located half way between Split and Makarska, there are many more attractions to see. You can also go for rafting on the Cetina river. Numerous pebble and sandy beaches adorn this pearl of Croatian tourist offer. This beautiful villa is made from brick or stone and was originally built in 1963 and refurbished in 2018. The agent has rated it as a four star property so it is a well-equipped villa with above average furnishings. It is also great value for money. 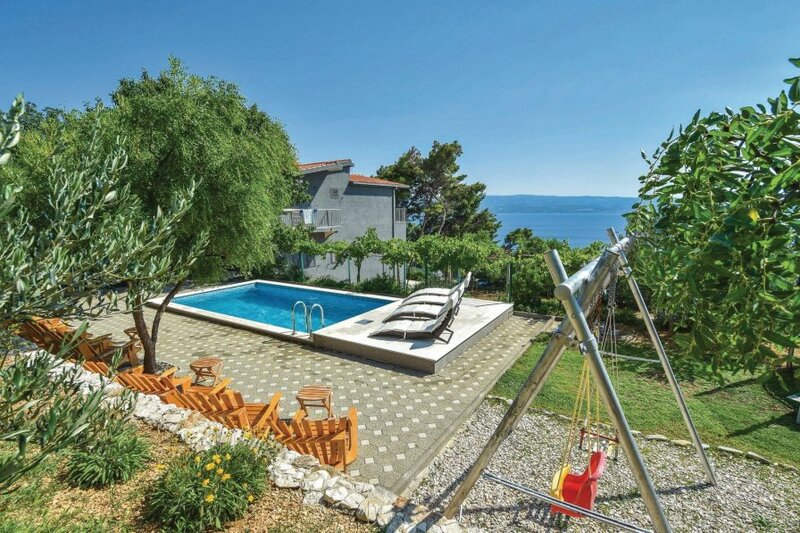 This villa has a swimming pool and beautiful panoramic view over water; it is also only 500 metres from Omis. It is set in a very convenient location, just 200 metres away from a stone and pebble beach and 500 metres from a sandy beach. There's also a restaurant only 500 metres away. The villa has free wireless internet. You can also park on-site at no extra charge. The villa is well equipped: it has a refrigerator, microwave, washing machine and dishwasher. It also has a barbecue, exercise equipment and some garden furniture outside.